WEEE recycling and IT disposal made easy. We offer a simple and fully WEEE Directive compliant on-demand collection, disposal and recycling solution for Waste Electrical and Electronic Equipment (WEEE). We collect and recycle a range of goods from office equipment like photocopiers, fax machines, computer monitors, printers and other IT equipment to general white goods such as fridges, freezers and other bulky WEEE items. JunkPorters offers a simple and fully WEEE directive compliant and on-demand collection, disposal and recycling solution for Waste Electrical and Electronic Equipment (WEEE). Our on-demand waste electric and electronic equipment collection & IT recycling service includes the disposal of your IT and other waste electrical items from anywhere on your premises and disposal of them at authorised WEEE treatment facilities for reuse, refurbishment or recycling. JunkPorters work with Transfer station Networks to provide a WEEE compliant IT and electrical equipment disposal and recycling service. We operate nationwide and are able to provide tailored solutions for businesses with a one off project. We are also capable of extending our services to larger organizations with multiple sites. Recycle Your Waste Electric & ELectronic Equipment Today! There are many operators who offer to take away your IT and computer equipment at a reasonable cost with a promise of wiping the information from your computer hard drives and other memory devices. But what happens if your equipment is stolen before it is treated? We feel that this is fraught with risks. What happens if your sensitive equipment doesn't make the companies facility and somebody takes a liking to the equipment beforehand? What happens if the disc formatting is incorrectly applied or doesn't work? IT experts claim that it is almost impossible to wipe all information off your memory devices. As the Midlands leading on-demand collection and recycling service provider, we collect IT and WEEE for a wide range of commercial clients including several of the country's largest waste management companies. 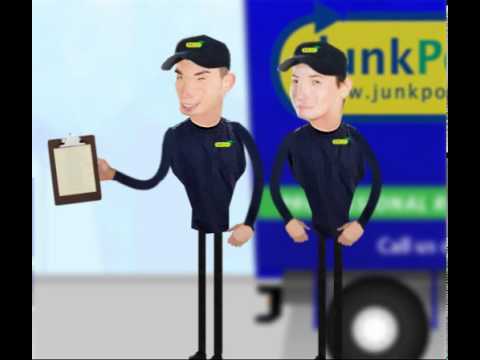 Here at JunkPorters, we pride ourselves on providing a full comprehensive, safe and guaranteed service with respect to disposing of and recycling your equipment and ensuring that there is no risk of anyone getting hold of your confidential information. To discuss WEEE Disposal & Recycling in more detail, please contact our customer support centre on 0800 043 5865 or Book Online Today!